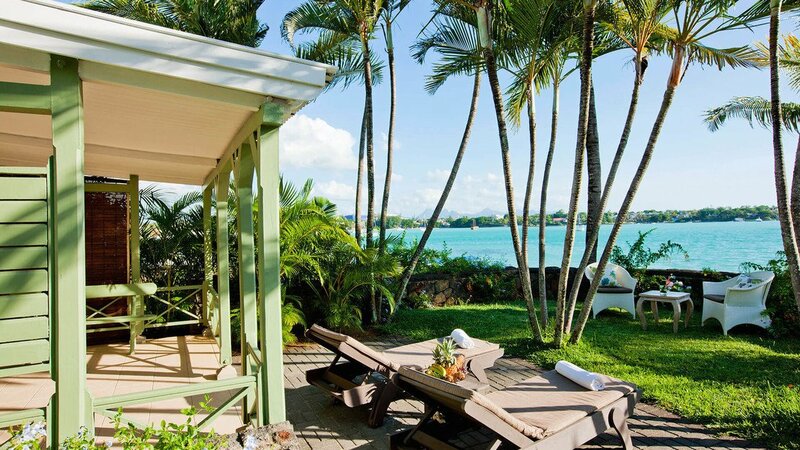 Begin your Mauritian holiday the Veranda way, pleasantly situated in the popular Grand Baie area with easy access to shopping, restaurants and nightlife. 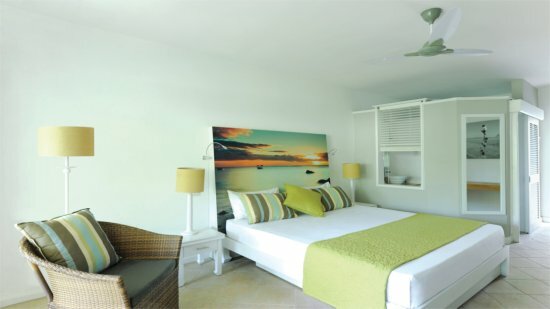 Veranda Grand Baie has been welcoming guests into their modest, reasonably-priced resort for the past 30 years. 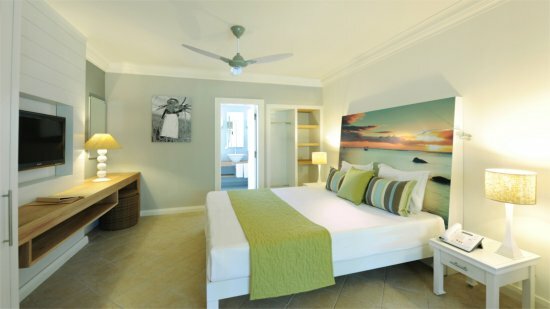 Attracting features include family rooms with interconnecting children’s rooms, two restaurants situated in order to enjoy the fabulous bay views and a Timomo and Friends Kids’ Club helping children experience unforgettable Mauritian holidays too. Extra privileges that raise the bar also include Veranda’s Seven Colours Spa, and hammam treatment area. The most special weddings and honeymoons are also catered for at Veranda Grand Baie with planning and packages designed to meet all your requirements. Experience Mauritius’ sights and sounds courtesy of Veranda Grand Baie Hotel. The resort is backed by a perfect secluded sandy cove. 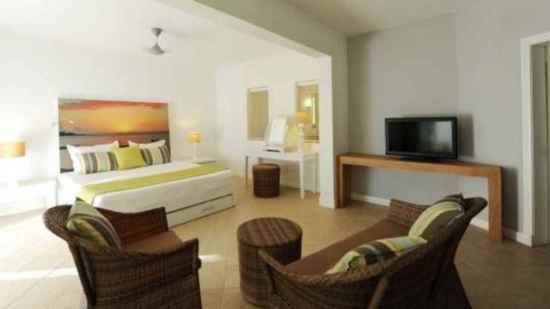 The hote is within walking distance of the centre of Grand Baie, and so there is a vast array of shops, bars and restaurants close by. Sir Seewoosagur Ramgoolam International Airport is approximately 73km away from the Veranda Grand Baie Hotel. 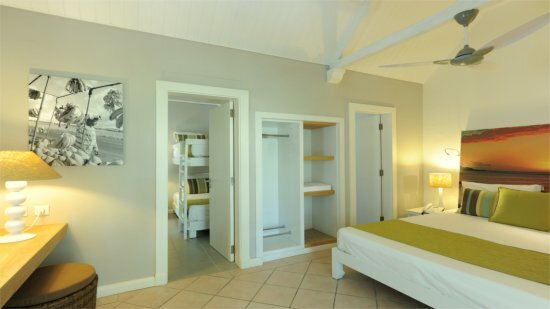 Comfort Rooms are between 32 – 38 square metres in size and open onto tropical gardens. Enjoy the landscape and views from the private terrace. Providing additional space and privacy, this category features a small children’s room equipped with bunkbeds whilst the main room has a king-size bed. All the standard amenities apply. Enjoy additional space and comfort with the superior rooms featuring a king-size bed and offering views over the pool or garden. Beautifully designed as individual maisonettes with stunning views over the beach and featuring a private garden, Privilege Suites offer a heightened sense of luxury. While away the hours by the beach or pool with a fabulous array of cuisine to tempt all ages and preferences. Relax in a casual friendly environment perfect for family feasts. Buffet selections and theme- nights are the main focus of this venue. Situated in order to enjoy stunning views over the lagoon watching sail boats pass by, this is a charming venue for sampling fine Mauritian cuisine. With local rum being the speciality drink, let Tilambic serve you some of their best creations featuring different flavours and fruits soaked in one of a variety of local rums. Other beverages and refreshments for all the family are also served along with theme nights and entertainment.